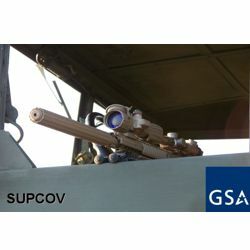 The “SUPCOV” Protects You, the Suppressor, and your Equipment. It is also designed to help prevent mirage from obscuring your site picture after multiple shots. Unlike expensive conventional “velcro & cordura wrap” or “lace on” covers that come loose, get shot off or even worse possibly burn with multiple shot strings and magazine changes. The Unique Patented SUPCOV’s are custom extruded from a high-temperature silicone composite that securely attaches directly around the can. 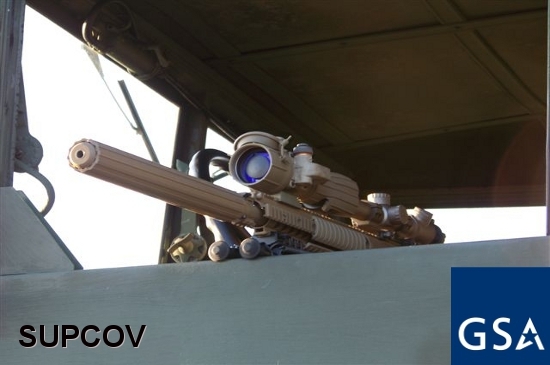 The design features internal & external ribs which encourage cooling through convection by allowing airflow under the cover and around the suppressor greatly increasing the elimination of Mirage as tested on the M110 Sniper System. 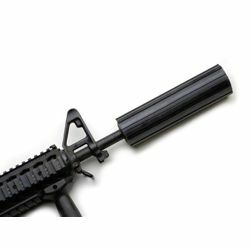 Length of the Cover is left at 14.5” for the U.S. Army M110 SASS so the Operator can easily trim it down to get a custom fit for mission requirements. 1 x M110 Sniper Rifle fired 1 round every 2-3 seconds with no suppressor sleeve. 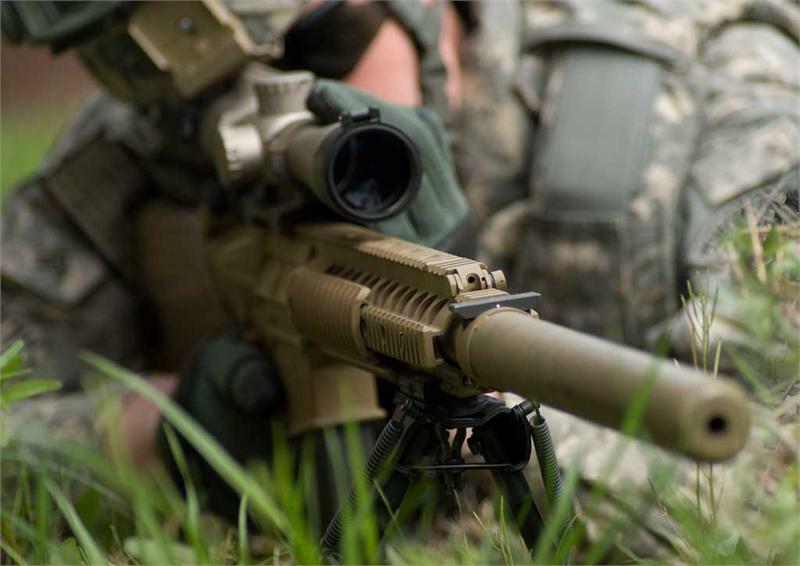 1 x M110 Sniper Rifle fired 1 round every 2-3 seconds with a suppressor sleeve. Both weapons continued with this rate of fire until barrel mirage was too great to accurately engage targets. Both weapons engaged the same target at approximately 467 meters. M110 with no suppressor sleeve began to have significant barrel mirage at 21 rounds; shooter was unable to engage targets and be able to identify what he was engaging after 25 rounds. 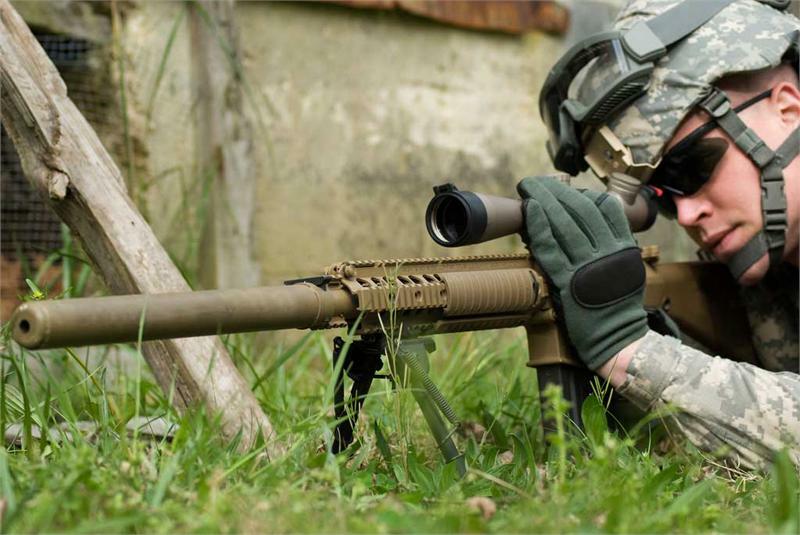 M110 with the suppressor sleeve did not have any significant barrel mirage until 91 rounds; shooter was able to engage targets for another 3 rounds until he was unable to identify targets.